I love sharing new recipes that can are easy to make part of a healthy weekly menu. Fruity green smoothies are easy to rely on for simple and delicious breakfasts and snacks and they provide so much flexibility – you can add or subtract whatever additional ingredients you’re in the mood for. This morning I started my day off as usual; in the kitchen hanging out with my blender. When I noticed that I was out of spinach – my personal favorite green for smoothies – I decided to give Swiss chard a chance. I’m glad I did because the result was so tasty and filling it made the perfect thing to eat post morning workout! I didn’t plan on making this smoothie, but sometimes when wonderful things happen you just have to go with it! I loved the smoothie so much that I’m sharing it with you! Pineapple Green Chard Smoothie, This makes roughly 7 cups of liquid. 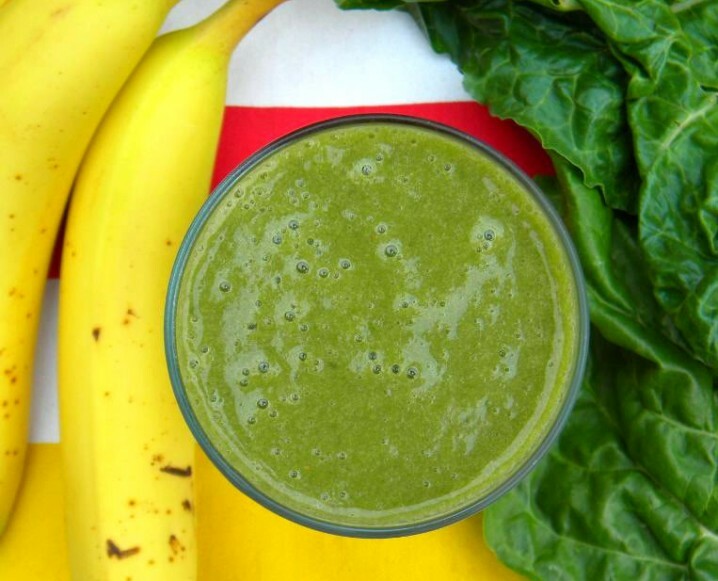 Share the post "Alkalizing Green Juice: Pineapple Swiss Chard Smoothie"
how many stalks of swiss chard did you use? i see the cup measurement but i’d rather know how many stalks, i don’t usually measure my greens in the morning due to being half awake. I would guess 5-7 depending on their size! Thanks for reading! We just started doing green juicing and this morning I ran out of green apple to sweetened. I opted to put a capful of apple cider vinegar. Is that okay? Sure, Linda! However, if you are going for a sweet taste, you might find ACV a touch too bitter. Pears are another wonderful fruit to substitute for apples!